I saw something on Bleached Report that said it got fans excited. Was hoping to see it. That's the only one I've seen. 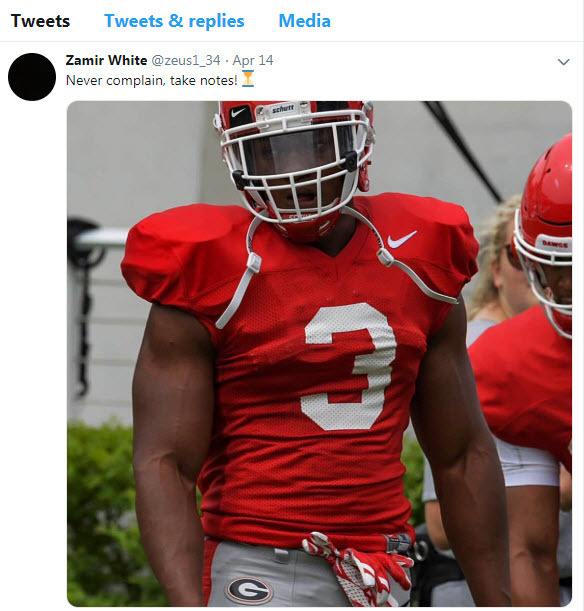 Dawgnation podcast brought it up.. but not a particularly exciting tweet... Clickbait at its finest. Could it be a reference to he who must not be named? Either way, I can't wait to see Zeus tear it up. It's his time! But can he hold on to the ball with those baby hands? Million dollar question.